We have long appreciated the personality theory of the Enneagram. It enables us to better understand one another, and means we can pin point what motivates people into a healthy and unhealthy state. That begs the questions—could the Enneagram help us understand the path to addiction? And if so, perhaps it could assist people as they enter recovery. This video interview from Enneagram Studies tackles these questions, intertwining a person's narrative or story with the Enneagram to provide insight into addictive behaviour. In this video, TALK Editor Evangeline Welch interviews Renee Siegel for Enneagram Association in the Narrative Tradition. The interview identifies the typical patterns of addiction for each space—being what they refer to as Head types (Types 5-7), Gut types (Types 8-1) and Heart types (Types 2-4). They also delve into how each type behaves in addiction. Focusing on the body as an energy system, the interview discusses what prompts different types to enter addictive behaviors, and what these often look like for each type, from eating disorders, gambling, workaholism, substance abuse, alcoholism or sexual acts. 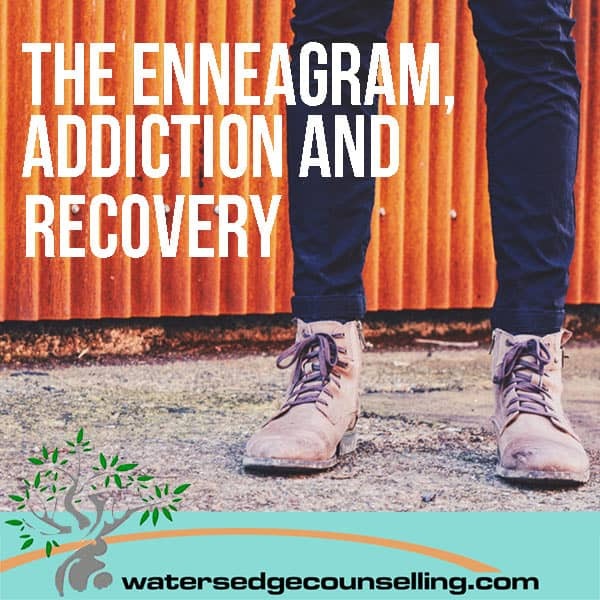 Take a look at this video and let us know what it teaches you about the Enneagram’s role in addiction and recovery. Are you or a loved one struggling with addiction? Do you want to learn more about the Enneagram and how it can help you enter recovery? Here’s what you need to do: contact WatersedgeCounselling on 0434 337 245 for a FREE 10-minute phone consultation on how we can best help you, or press book now to book in our online diary.